Your home won't look the same after we have cleaned . 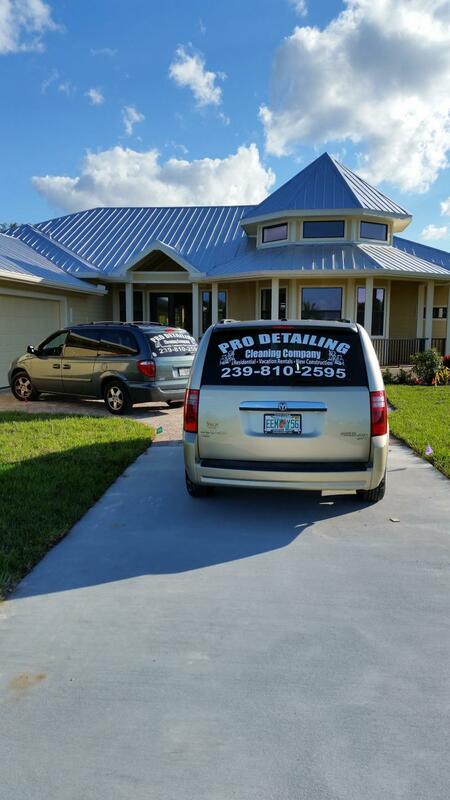 Welcome to Pro Detailing, the most affordable and efficient house cleaning in Cape Coral. We offer a friendly and professional residential cleaning service in Cape Coral that is here to help you in whatever capacity you require. Pro Detailing treats your home with individual attention. Our customers find we are more reliable and provide a peace of mind that they've never experienced from a cleaning service. When you hire Pro Detailing, you can expect the most thorough professional house cleaning service available in Cape Coral. We pride ourselves on going above and beyond what other cleaning services offer. We are fully licensed and insured in Charlotte, Lee and Collier county. We also offer foreclosure cleaning in Cape Coral and vacation rental cleans in Cape Coral , Fort Myers and Sanibel Island. We have been serving Cape Coral and Lee County for the last 19 years . Please contact us any time.We are here to help you and will endeavour to meet you the same day and give you a free estimate. Copyright 2016 Pro Detailing. All rights reserved.